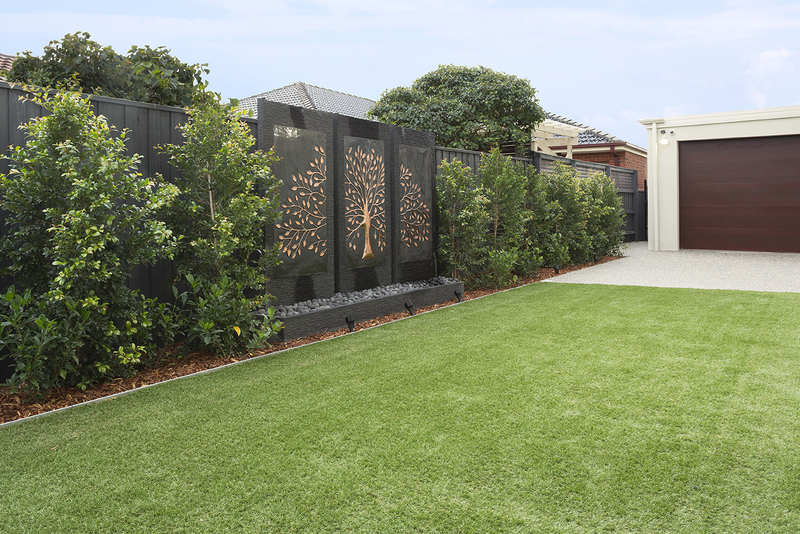 PATH Design Studio | low maintenance garden concept, stately modern home. 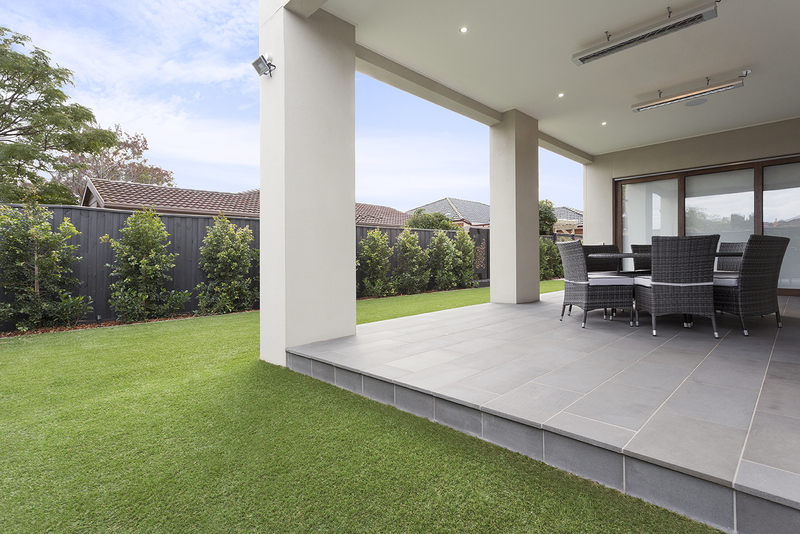 PATH embraced the low maintenance garden concept in this stately modern home. 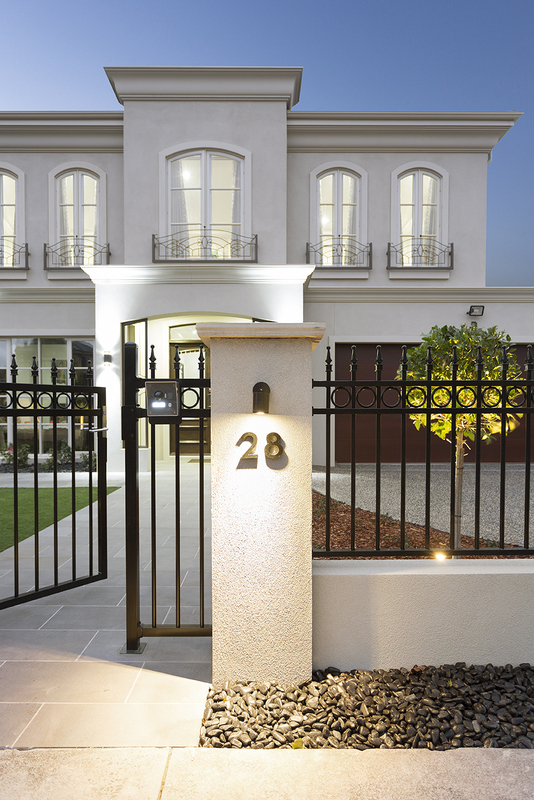 Ficus standards lined the front of the property to provide a sense of order and subtle grandeur. 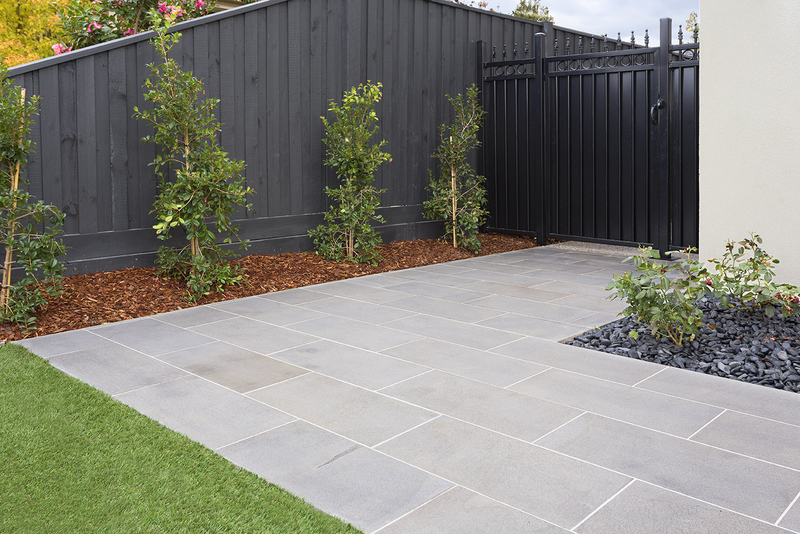 Dark pebbles in front of the fence emphasise the minimalist feel with almost zero maintenance for the busy family. 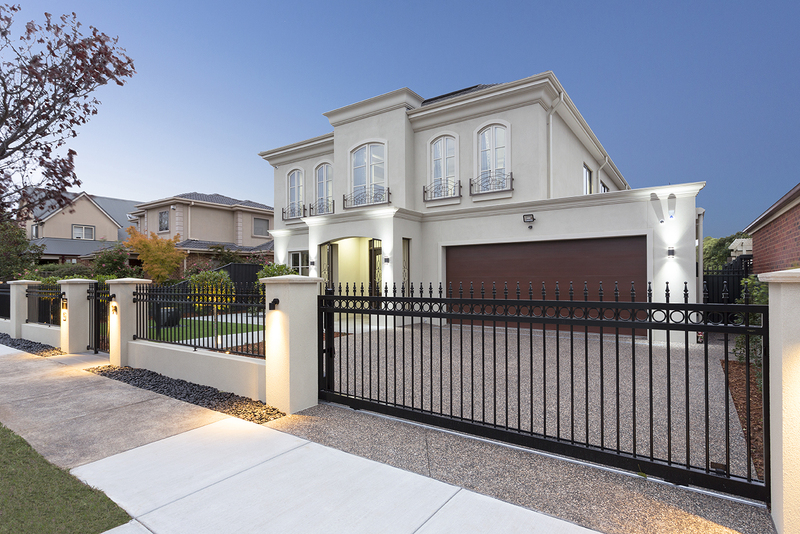 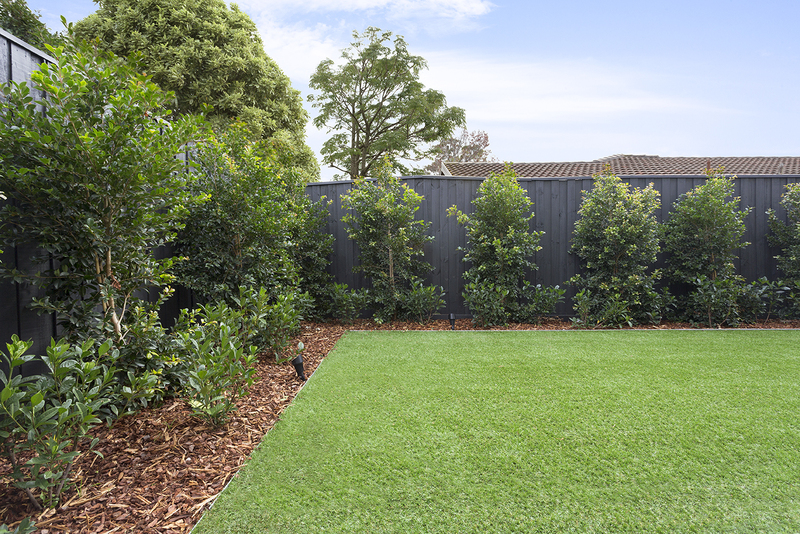 The lawn lined with selected Lily Pillies and Gardenias on the side and rear of the site was laid with a quality synthetic turf – providing durability in the unpredictable Australian climate and offering year round appeal. 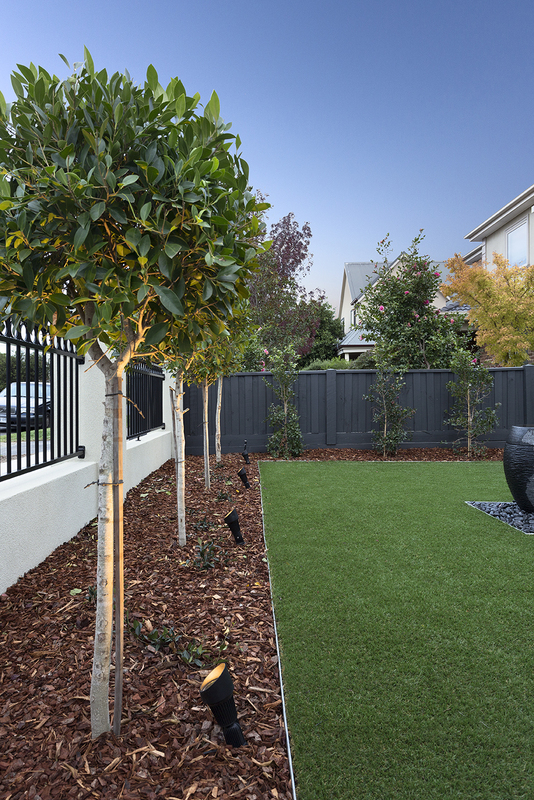 Layered planting along the edge of the property offers interest and creates a calm and serene outdoor space. 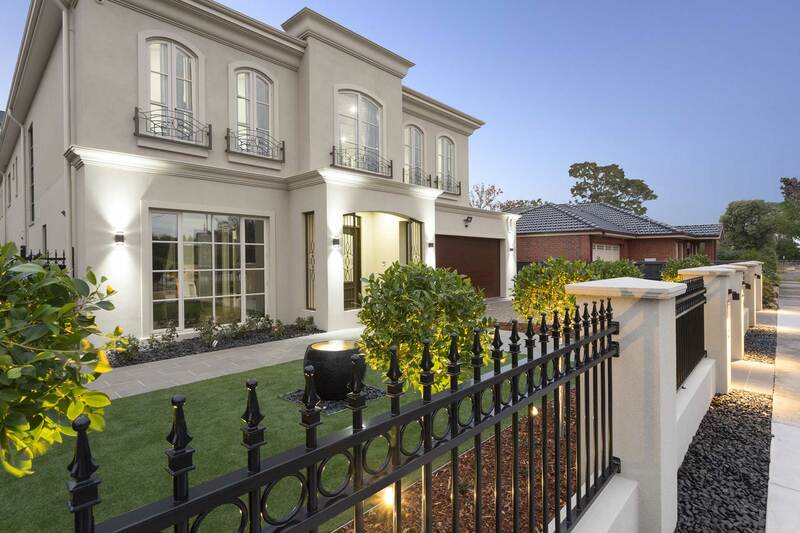 The resulting gardens complement and soften the imposing architectural styling of this property and provide low maintenance enjoyment.